Do you like blue? No…do you really, really like blue? If so then Shimano has the perfect set of shoes for you. 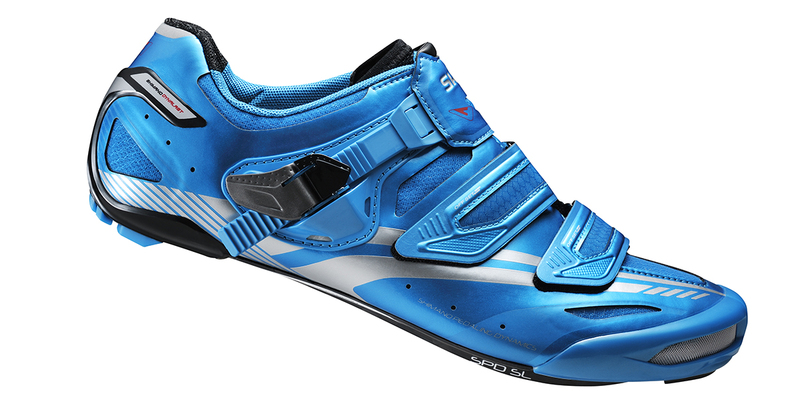 Limited to only 350 pairs in North America, Shimano has released a special edition of its SH-R320 shoe to coincide with today’s start of the 2013 Tour de France. As will all R320’s, the limited edition comes with a custom-fit upper and a carbon fiber reinforced monocoque heel cup. The shoes weigh in at approximately 470g. If blue isn’t really your thing, but you still want to see what the shoes look like, you will find them on the feel of the Argos-Shimano team, and select members of ORICA GreenEDGE, Team Sky, Team Belkin, BMC and Francaise des Jeux teams over the next three weeks.